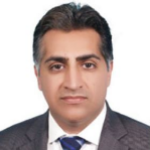 Qamar Saleem is Global Lead for SME and Supply Chain Finance Practice at IFC, World Bank Group. In this role, Qamar heads SME Banking and Supply Chain Finance Advisory Services business supporting IFC’s financial institutions globally in building and scaling up their SME Banking and SCF businesses. Prior to joining IFC, Qamar was associated with reputed international organizations like HSBC, Standard Chartered Bank, Deutsche Bank as well as large regional banks while serving in several emerging markets. Qamar has 25 years of diverse commercial banking and business transformation consulting experience. He is a recognized SME Banking and Supply Chain Finance expert and has played leadership roles in driving up SME and SCF businesses for various banks in Latin America, Middle East, North Africa, Eastern Europe, Africa, and Asia. Qamar is also steering global innovations in the areas of domestic supply chain finance, very small enterprise finance, non-financial services, banking on women, and Islamic SME banking. He has also been a featured speaker, thought leader and trainer at numerous SME and SCF knowledge sharing forums across the world and has steered partnerships with various private and public sector entities in helping augment support mechanism for increasing financial inclusion of especially the small and medium enterprises. Qamar holds a Master degree in Business Administration and carries several certifications in the areas of Strategy, Corporate Leadership, Supply Chain Finance, Credit, Risk, Trade, Treasury, Sales, Transaction Banking and Product Management.